6/4/2017–LOUISBURG, NC–On 4 June 2017, Cadet Captain Noah Stange from NC-145 (Franklin County Composite Squadron) completed his first solo flights in the NC Wing’s TG-10B/L-23B aka “MERLIN 09” under the supervision of Instructor Capt John Styers at the NC Wing Glider Base at the Triangle North Executive Airport (KLHZ) in Louisburg, NC. The tow pilot for this historic event was 1st Lt Tim Suttles of NC-145 and the wing runner was Capt Dave Stange. 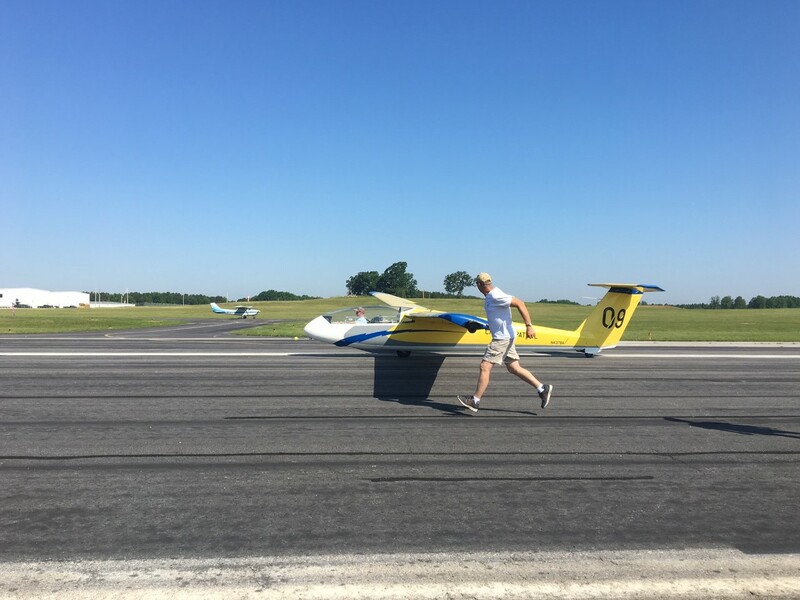 C/Capt Stange attended the Texas Glider Academy last summer and left as a “pre-solo” cadet, as it was his first time attending. Cadet Captain Stange is the son of the Captain Dave “Lock Box” Stange, NCWG Deputy Director of Operations, and Lt Dawn Stange, the NC Wing's Recruiting and Retention Officer. Congratulations Cadet Stange - you have made us all very proud!